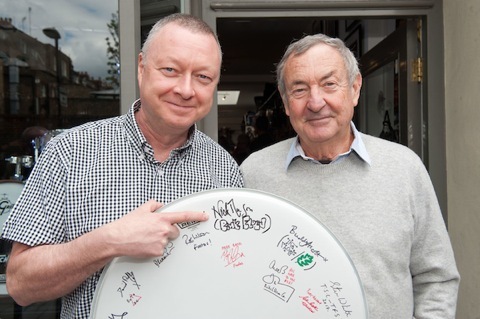 Legendary drummer Buddy Ascott of The Chords and currently The Fallen Leaves, chats to Retro Man Blog about his life in music in this latest special edition Retrosonic Podcast. From being inspired by The Who's Keith Moon and Quadrophenia and witnessing the early Punk Rock explosion to playing the Roxy. There's encounters with The Undertones, Paul Weller and Jimmy Pursey and of course the story centres around his time with The Chords at the height of the Mod Revival. Buddy also explains about his theory of why drummers are the goalkeepers of Rock 'n' Roll and tells us of his involvement with an intriguing charity event. 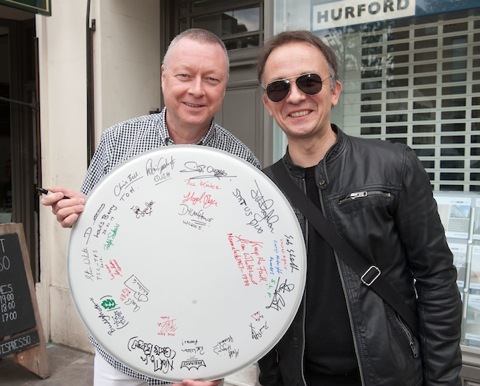 This honest and amusing account might just change your preconceptions about drummers! The Podcast is sound-tracked with music by some of Buddy's various (and many...) bands including The Chords, The Fallen Leaves, The Rage, The Moment, The Red Away Tops, The Way Out and we have an exclusive track from Speakeasy's forthcoming album. 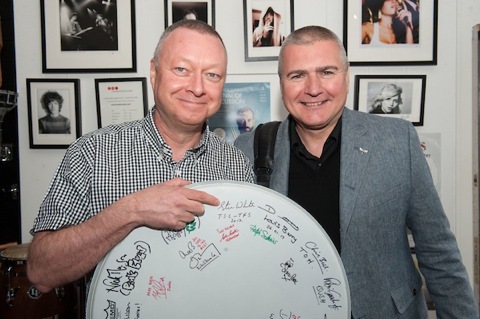 More details of the Roll Out The Barrel "Drummers on top of the O2" charity event - including the chance to bid for the signed bass drum skin as shown in the photos below - can be found here. 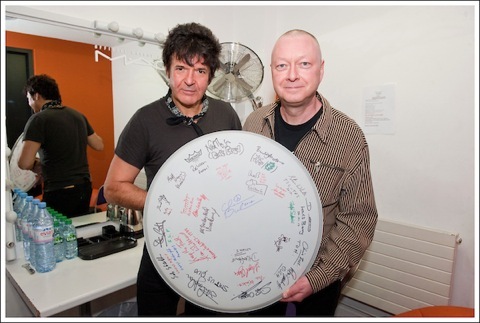 Photographer Peter Stevens has been on hand to capture Buddy's quest to get this drum skin signed by an impressive list of drumming royalty such as Clem Burke from Blondie, Nick Mason from Pink Floyd, Dylan Howe from the Wilko Johnson band, John Coghlan from Status Quo, Mick Avory from The Kinks and many more...We'll keep you updated as the drum skin gets filled in with more names! You can listen to or download the Podcast directly from our Retrosonic Podcast Soundcloud link below or subscribe on iTunes or Mixcloud. Buddy will be talking about his experience of playing the 100 Club in the next episode of Retrosonic Podcast so please keep an eye out for the release date. With thanks to Peter Stevens for the excellent photos, you can check out his web-site with more examples of his superb work here. All photos copyright Peter Stevens.